I am an experienced Hypnotherapist, treating all types of presenting problem in my own private and comfortable treatment room in Weston super Mare. Hypnotherapy is a powerful tool for change, it is relaxing, effective and changes often start from the first session. You will enjoy a relaxing experience while you progress towards your goal! I was a listening Samaritan for seven years, I recognise that people need to be heard and supported to find a way through to solving their problems. As soon as I experienced the power and the speed of using hypnosis, I was hooked! I studied Psychotherapeutic Counselling and use these person-centred approaches along with hypnosis to work with you to meet your goals. MP3 recordings and techniques for you to use at home are included whenever possible. All through my teens and into my adult life, I had experienced symptoms of generalised anxiety; a sick feeling when I woke in the morning and unexplained feelings of panic and dread. As I studied hypnotherapy, I experienced the power and the speed of using hypnosis and I was hooked! I have never had those anxious, out of control feelings since. I continued on my Psychotherapeutic Counselling Diploma and I am able to use those techniques too with my clients, but I was blown away by the simplicity and the results I saw with hypnosis and knew this was going to be the method I would want to share. I worked in Adult Education and Training for many years before having my family. I taught adults with learning disabilities and then planned and evaluated services which employ and train them. I also worked with children in Special Schools throughout North Somerset. I keep my teaching skills current, as I teach on a Hypnotherapy Diploma for the UK’s largest therapy training provider Chrysalis. I especially love the group demonstrations of hypnosis I get to do. I personalise my approach to the person I have in front of me and I work hard with the client to bring about the change and balance they want. I am experienced in working with children and young adults too, and I am happy to discuss the suitability of hypnotherapy for your child. My approach and my homely non-clinical room is ideal for putting even young children at ease. Hypnotherapy is excellent for helping children overcome phobias and anxieties and prepare for exams and performances. I am a Volunteer Therapist for Anxiety UK and my services can be accessed by members at reduced rates. Please visit Anxiety UK's website for more information. Daytime and Evening appointments are available. I offer free no obligation consultations so that you can meet me and discuss how we would work together before you make your decision. Previous to my therapy training I worked in Social Care and in Education and Training. I trained as a Samaritan and for several years was involved in training and selection of listening volunteers at regional and national level. I currently teach a Diploma in Hypnotherapy and Counselling Skills at Plymouth University and in Bristol and work full time as a hypnotherapist. I offer a free 30 minute consultation, over the phone, Skype or face to face. Treatments are face to face and cost £60 per session, typically around an hour. I agree the number of sessions with you after the initial consultation. I include MP3 recordings for some treatments. Smoking cessation treatment costs £79 for a 90 minute session and includes an MP3. I enjoy working with children and young adults and will be happy to talk to you about the suitability of hypnotherapy for your child. My therapy room is a non-clinical space in a home, which works well for children. Through Anxiety UK, you may be able to access my services for as little as £15 per session. Visit Anxiety UK's website to find out more. Like my Facebook page using the tab at the top of this page where I regularly post special offers and reviews from recent clients. 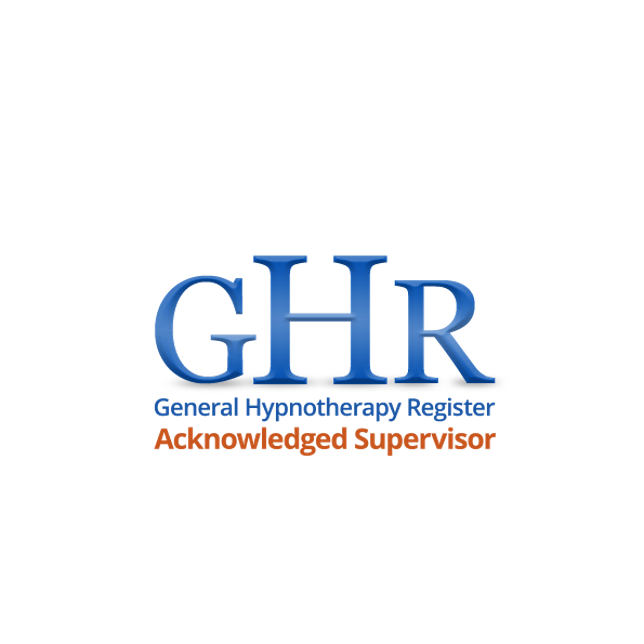 I am a GHR acknowledged supervisor, please contact me for details of my supervision packages.